This convenient feeder dispenses food for your pet. A gravity feed system allows for constant access to food so you never have to worry about letting your pet go hungry. 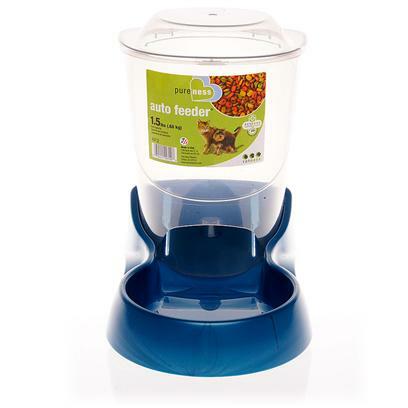 Van Ness Plastic Auto Pet Feeder Features and Benefits: * Hinged top attached to container * Interlocking nesting for efficient shipping and shelf space utilization * Clear smoke finish on container for easy viewing of food on hand * Handles for easy pickup of dish.